Prepare a muffin tin with cooking spray and preheat oven according to your brownie recipe. Start by making your brownie mix. You can use a store bought mix if you'd like, or if you'd prefer, homemade works great too. It really doesn't matter as long as it's a pretty traditional brownie mix. Follow all directions for mixing according to that recipe. Dip each Oreo into the batter until fully coated. Add to the bottom of your muffin tin. Pour additional batter over the top. Bake according to brownie recipe direction. Decorate with icing and sprinkles, if desired. Super easy, right!? 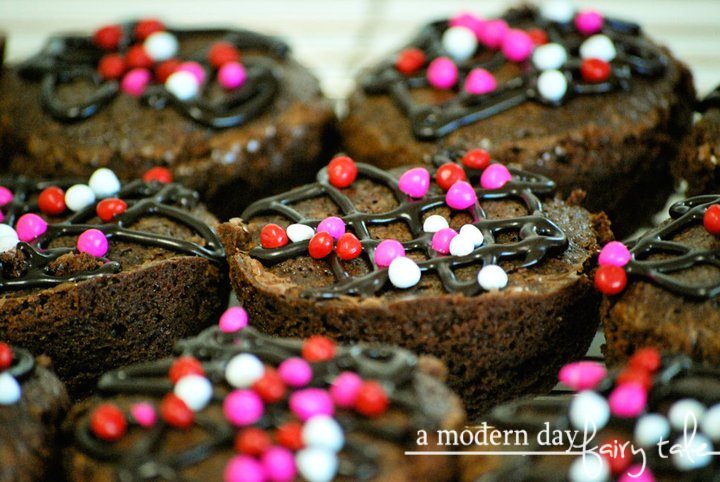 These are a great way to take a plain ol' brownie and elevate it to the next level with the surprise Oreo inside. And they are ALWAYS a hit every time I've made them. Prefer a more traditional bar brownie? It would be easy enough to do this in a typical baking dish as well, though for easier cutting, I might recommending a layer of batter, a layer of CRUSHED oreo, topped with more batter! Personally, I love these little grab and go versions myself though! Are you an Oreo fan? How are YOU celebrating National Oreo Day!? These brownies look cute & yummy. I had no idea there was a national Oreo day.